Is it entirely obvious that I'm obsessed with C Wonder? I'll just say it's a good thing I don't live in the USA full time anymore or I'd be broke as there's something about a retailer that can outfit you and your home together that just makes for shopping bliss. 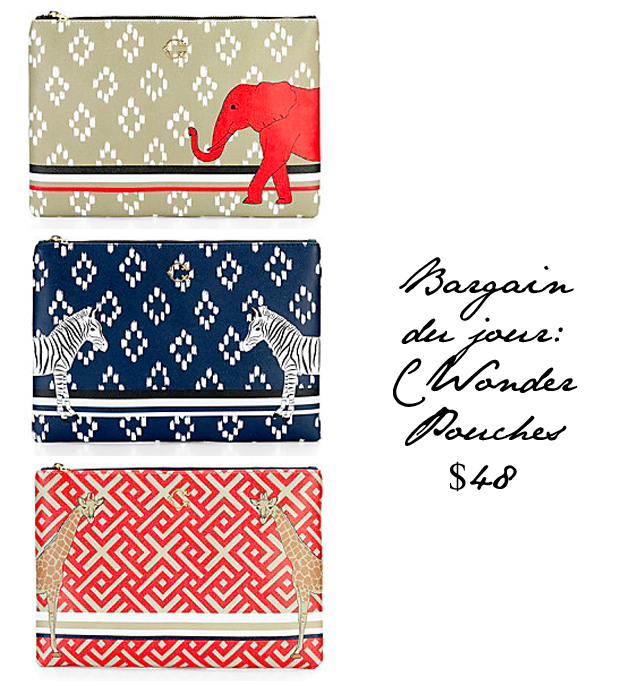 After a recent trip in store, I fell in love with a set of C Wonder clutches (that are advertised as pouches) from the moment I stepped across the threshold. There was an elephant clutch, a zebra clutch and a giraffe clutch. I couldn't make a choice so I bagged all three thinking I would get some serious usage out of these jazzy little numbers throughout the pre-fall season. They are $48 a piece and are absolute size perfection. Grab now!